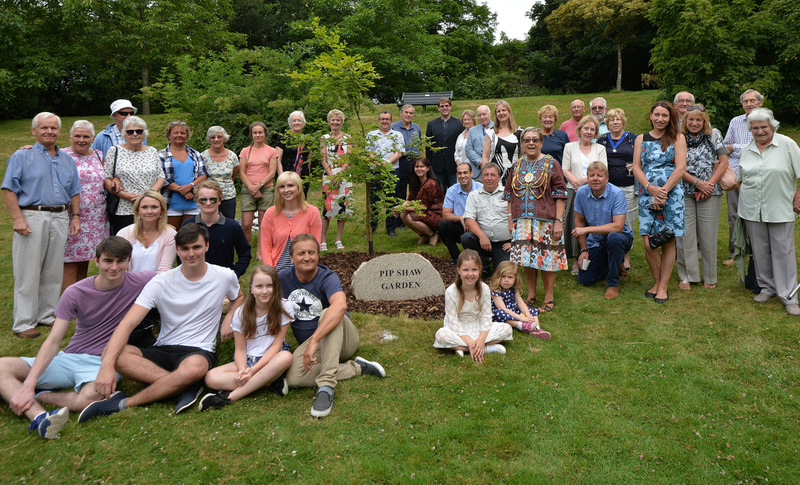 This week the Mayor of Brighton & Hove, Councillor Mo Marsh, attended a ceremony in Withdean Park in recognition of the work of Pip Shaw, a founder member of the Friends of Withdean Park. Pip joined the group from its formation in 1995, and was Chairman from 2006. She was responsible for leading the group in maintaining the Park including arranging work parties. Withdean Park was at one time, the home of one of just three national lilac collections, but unfortunately lost its accreditation in 2009. The present Committee of The Friends of Withdean Park continue to look after the park, and have recently had leaders trained to carry out this work on behalf of the Council. It was decided shortly after Pip Shaw’s death in 2014, that her efforts should be recognised. and so a memorial stone was erected in the Pond Garden of the park, named in memory of Pip.